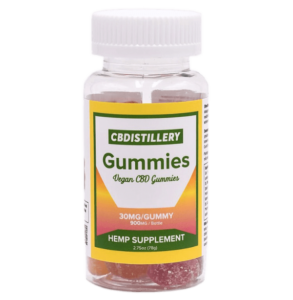 CBDISTILLERY’s Gummies are made with Pesticide Free, Non-GMO Hemp CBD Oil extracted from the mature stalks and stems of the hemp plant. There has never been a more delicious way to supplement high quality, hemp-derived CBD into your life. 30 count CBD Vegan Gummies, 30mg Cannabidiol per gummy 900mg per bottle.